New policies that are being developed in Washington in the aftermath of the election could impact the current environment of low interest rates if those policies are directed at improving productivity growth, President James Bullard said in a presentation at Arizona State University in Phoenix. Bullard says some policies brewing in Washington could improve productivity and impact today’s low interest rates. 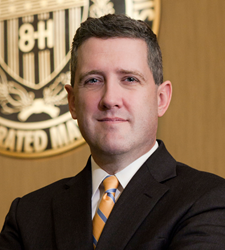 Federal Reserve Bank of St. Louis President James Bullard discussed “The Low Real Interest Rate Regime Post-Election: Is There a Switch?” on Monday at Arizona State University’s annual economic forecast luncheon. In his presentation, Bullard discussed how the current state of the U.S. economy and monetary policy might be viewed in terms of a “low-safe-real-interest-rate regime” and whether the proposed policies of the incoming White House administration could impact this regime. “Bottom line: Whether the new policies being developed in Washington represent a ‘regime shift’ depends on whether these policies will impact productivity,” he said. The St. Louis Fed recently changed to a regime-based approach to near-term projections of the U.S. macroeconomy and monetary policy. Under this approach, the macroeconomy could visit a set of possible regimes, and monetary policy is regime-dependent. Bullard described two real interest rate regimes, noting that a high-real-interest-rate regime prevailed in the 1980s and 1990s, but a low-real-interest-rate regime prevails today. He explained that the real returns on safe, short-term assets, such as short-term government debt, are exceptionally low and are unlikely to return to their historical levels over the next two to three years. Bullard noted that the St. Louis Fed’s recommended policy rate (i.e., the federal funds rate target) depends mostly on the safe real rate of return. “With inflation and unemployment close to longer-run levels, a standard recommendation is to set the policy rate equal to the real interest rate plus the inflation target,” he said. “Because we are in the low-real-rate regime, the St. Louis Fed’s policy rate recommendation comes out to a low number,” he explained. In discussing whether President-elect Donald Trump’s new policies being developed could impact the current low-safe-real-rate regime, Bullard said that if they are properly executed, the new set of policies may have some effect. In particular, he focused on their potential impact on productivity growth. Bullard explained that low productivity growth is one of several factors that may be putting downward pressure on safe real rates of return. “U.S. productivity growth is low and could conceivably be improved considerably. This could help to increase the real rate,” he said. Of the new policies being developed in Washington, Bullard said deregulation, infrastructure spending and tax reform could have some impact on the low-safe-real-rate regime over the next several years, but any impact from immigration and trade policy reforms will likely take longer. Regarding deregulation, he said to the extent that some areas of regulation are excessive, deregulation could improve productivity. Regarding infrastructure, he said spending directed to the right public capital could improve productivity. Regarding tax reform, he said changes that encourage investment in the U.S. could improve productivity.